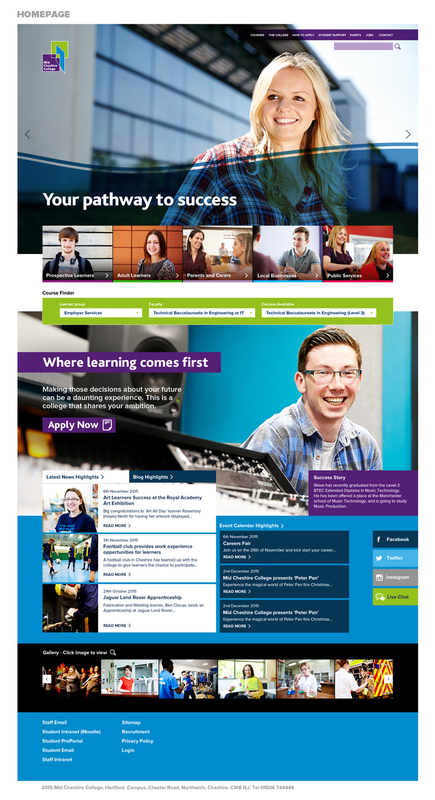 Redesign of the Mid Cheshire College website. The requirement was to target the 5 main visitor groups, and provide a tailored journey through the site. A modern editorial feel, with regular refreshed content, via blog posts, news feeds and social media. 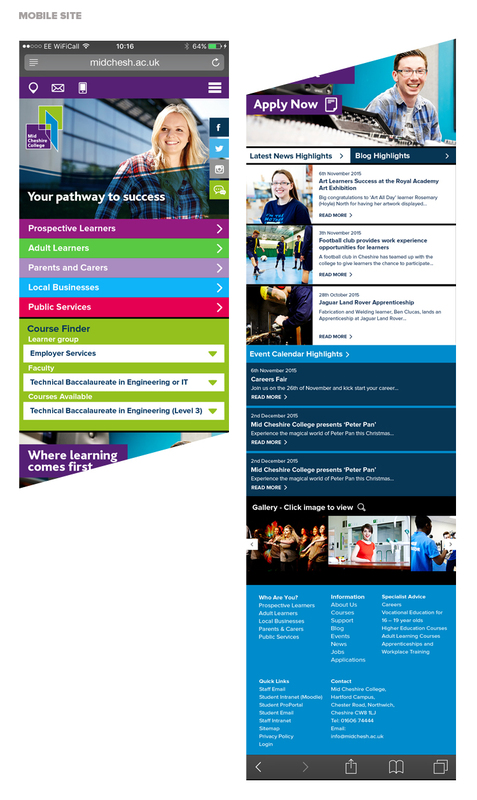 Use of video to help prospective learners decide which course was right for them, before applying online. Colour-coded faculties which continued into the printed literature, help visitors know where they are on the site. Responsive for all devices, with data heavy content being stripped back for mobile to enable a fast user experience.